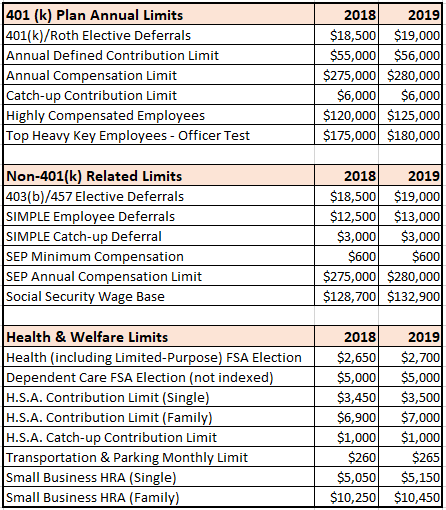 The Internal Revenue Service has officially released the 2019 cost of living adjustments on various retirement and health and welfare benefit plans. 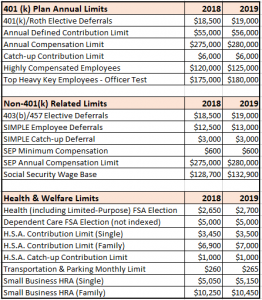 These new limits take effect on January 1, 2019. If you have questions regarding any of the new limits, you can refer to IRS Notice or contact Axiom Human Resource Solutions at 844-587-1019.